Want the insider scoop on what to see and do in Western Montana? Get the 411 from the locals. "Pack a picnic and sit on the beach at Holland Lake. Skip rocks and watch the mountains and clouds reflect off the water. Afterward, head to Holland Lake Lodge for a homemade cookie and flavored soda for the car ride home." "A common thing to do in Missoula is hike the 'M'. Easy enough for the family and impossible to get lost. If you make it up to this big concrete marker make sure you hike a little bit more towards the east to get a gander at the historic Hellgate Canyon. Here you should get a great view of the Clark Fork River as it enters the valley." "Check out West Glacier's "Old Bridge." From the village of West Glacier, stroll 1/2 mile east on Old Bridge Road and you'll discover an architectural stalwart that has stood the test of time and the temper of Mother Nature. Commonly referred to as "The Old Bridge," this scaffold of concrete and timber is the original entrance to Glacier National Park. Now limited to foot and bike traffic the bridge offers great photo opportunities as well as links to the Boundary Trail and Headquarters bike path. The sandy beaches below the bridge are a perfect place to soak up some sun or kick back for picnic at the river's edge." "Heading west on Highway 200? Make sure to stop by the gift shop at the Lakeside Motel & Resort. Ice cream, Montana made products and very friendly people." "Visit the Bitterroot Valley for award-winning sushi at 2nd Street Sushi and Asian Cuisine in Hamilton. Sushi in Montana? Absolutely!" One of my favorite activities on a lazy summer day? Drop by the Dairy Hut in Seeley Lake for a cold treat and meander down to Lindey’s Steak House lawn along the bay of the lake to take in the sounds and sights of summer. Try dipping your toes in the water or laying your head back to soak up the sun. "A perfect afternoon in northwest Montana is a trip up Bear Creek Road into the Cabinet Mountains to pick huckleberries, followed by a trip to the local Dairy Queen in Libby. And if you're here in the fall, you can call in advance and schedule your very own personal family tour of Libby Dam. A favorite day for me in the winter would be to ski Turner Mountain with a stop for peanuts, pizza and Moose Drool at the Red Dog Saloon on the way home." "Early June is my favorite time in Montana, period. Lush green valleys, white mountain peaks and no crowds make it the perfect time to get outside. Additionally, you can bike the Going-to-the-Sun Road in Glacier National Park without car traffic! Leave your rig at the Avalanche Lake trailhead and pedal past the towering peaks up to Logan Pass. The ride down is an adrenaline rush!" "Take the boat cruise on St. Mary Lake. I personally think it is the most accessible, most dramatic and quiet, although you may feel some wind. The boat cruise there is great and underutilized. Follow it up by eating at Johnson's cafe in St. Mary. Amazing." "I've spent a lot of time in Glacier and savored every second. The best day I can think of would be a day of either whitewater rafting or fly-fishing with Glacier Raft Co. and then heading into the park to Polebridge for dinner. 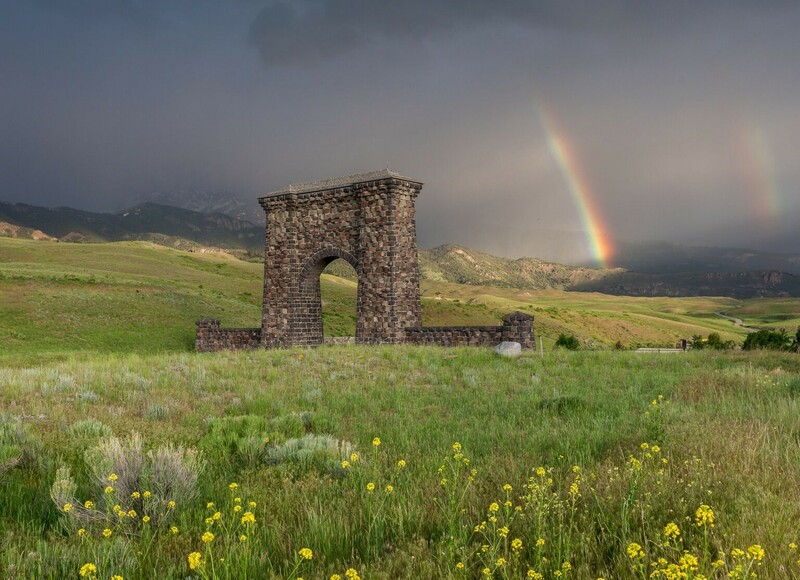 Polebridge is a town run on a generator that is worth the dirt road drive to access it, wonderful Montana cookin' in a valley without equal in the world." "If you find yourself in Glacier National Park during the rush of summer, especially July or August, don't hesitate to get away from the crowds and do a little exploring in areas that don't see as much foot traffic. The Bob Marshall Wilderness complex is Glacier's next-door neighbor, and home to all of the same beauty as the park, with a fraction of the visitors. Heading east on Highway 2 from West Glacier, there are multiple trailheads (several with signs) visible from the road. One option is to drive the 46 miles to the confluence of Bear Creek and the Middle Fork, park, and follow the river a mile or two into the Great Bear section of the wilderness area. Just don't forget to stop by the Snow Slip Inn for a cold one with the locals on your way home!" "Go out early in the morning and miss everyone else. I like exploring Glacier in the morning-it makes me feel like I'm the only one there." "The Lodge at Whitefish Lake has a 31 foot Windsor Cruiser to take around the lake to see celebrity homes." "The only way to really see Whitefish like a local is to get into the mindset of a Montanan. That means you need to throw out your itinerary, relax, take a deep breath, and enjoy life at the pace nature intended. If you've made it to northwest Montana, you're already ¾ of the way to the best vacation you've ever had. The last ¼ is just remembering to enjoy it." "I'm a mom and my kids love to throw rocks in the water. Seriously, they could do this for eight hours a day. The best place for rock throwing is anywhere along the North Fork River, as the boat access points are great. If you're looking to skip rocks, visit the head of Lake McDonald or Silver Dollar Beach on St. Mary Lake." "Montana has a great homegrown beer and spirits industry, so make sure to stop by the different breweries and distilleries in Glacier Country. There are many and they are all unique!" "I always love the feeling of riding my motorcycle along Highway 200 next to the river on a warm summer day. There are so many small towns to visit and plenty of areas to pull off and enjoy the beautiful Montana skyline." "If you are traveling through Libby on Highway 2 be sure and stop at the Mountain Meadows Gift Shop. They have a wonderful assortment of local gift items and antiques, you can be sure and find a treasure."